Makita have released yet another rotary hammer Drill. This comes in the form of the DHR263ZJ. It is powered by not just one but two powerful 18v batteries. This is great for powering the impressive 36V DC motor drive system. The Hammer Drill can even be used with two different batteries (e.g. one 3Ah and 4Ah), because the machine will only stop when the battery with less capacity gets empty. A battery capacity warning lamp is also in place so low batteries are easily identifiable. The drill is fairly light at 4.7kg which makes it perfect for handling and manoeuvrability. The handle is soft grip for added comfort. The hammer drill also comes with the standard LED job light which provides a pre-glow and afterglow facility. There are no draw backs as regards the choice of settings for this hammer drill. It features three different modes of operation, these being; rotation and hammering, hammering only and rotation only – you can also choose between 40 different bit-angle settings. The new kit from Makita the DLX2005M has arrived. This is an updated kit from Makitas DK18000. It features an impressive updated battery, standing at 4ah compared to the old kits 3Ah battery. The battery takes just 36 minutes to charge, which is little more that the 3Ah charging time of 22 minutes. The kit contains equipped with a drill, impact wrench, case, two 18v 4Ah batteries, charger, drill bits, handle and depth gauge. The drill and impact wrench both come with battery indicators, two speed settings, 13mm chuck, forward/reverse drilling and an LED work light. The drill comes with several torque speed settings and three drilling modes: Screwdriver, Drill driver – for wood and metal and hammer – for concrete. Thanks to all for a successful and very busy demo day last year! We will be holding a Makita Demo this month on Friday the 22nd and Saturday the 23rd of November – yes only a week to go. Preparation is underway and the staff are really looking forward to it. Four of them are going to Makita UK Head office for Training on the Powertools for two days just before the show – get ready to ask them lots of Technical questions! We always advertise in the Hereford Times, but this year we are also sending out over 24’000 leaflets in the Hereford Journal as well – grab one if you can they have some fantastic prices. We are hoping to make this the biggest and the best open day so far. On the day we will make sure the entrance to the Three Elms Trading Estate is well sign posted with Makita Banners to ensure you can easily spot where we are. As always we’ll have the Makita staff here to demonstrate their Power tools and for you to be able to have a go “hands on” to try before you buy or just see how well they perform. This time as a special treat we will also be host to the Massive Dickies Clothing Demo Van exhibiting their clothing with particular interest in the Makita Range of Workwear. It just gets Bigger and Better, this time we’ve got the Petrol Professionals, so for the first time ever one of Makita’s top Outdoor Power Equipment Specialist Reps will be present who is well trained in that field, so there will be even more help regarding petrol tools and gardening equipment – they can’t wait to show you all the New Four Stroke Range! This year there will also be a free prize draw and all you have to do to enter is leave your e-mail address and the lucky winner will win a Makita prize. There will also be a onetime special offer for anyone who buys a power tool on the day. If you register your details with us as a valued customer we will give you a 20% Extra Discount Voucher, specifically for Power Tool Accessories, this will run until the end of December 2013. Not to be missed is our Giant BBQ.! Tasty Burgers and Bacon Rolls for all customers. There will be deals throughout Friday and Saturday AM with show only prices. With a great range of power tools, clothing plus much more and with Christmas quickly approaching why not take advantage of these great prices and our special Xmas stand, something for everyone! So pop down for some great offers and friendly customer service – you’ll be surprised! This is our Number 1 in our ‘Top 4′ chart, the XMS12SHOVEL Faithfull Steel Shovel. Prepare for the potential snow this Christmas with this folding steel shovel from Faithfull. This Faithfull shovel folds neatly for ideal storage in a vehicle boot, shed or garage. It can be used as a shovel, pick or trenching shovel with the ability of the movable locking handle and head. The shovel is manufactured using strong tubular steel with a heat treated carbon steel blade. This makes the shovel lightweight yet very strong and durable. It is ideal for digging, levelling ground, removing rubble, post hole digging or scraping with its serrated edge. The shovel is easy to use with its simple ‘twist and tighten’ system making it quick and easy to assemble for use or to fold away for storage. Just loosen the collar lock, move into the required position and then tighten the collar to lock into place. Reverse the procedure to fold. The shovel is supplied with a vinyl storage pouch, which is fitted with an integral back loop that can be attached to any belt or backpack, making it perfect for outdoor events. For more information on the XMS12SHOVEL Faithfull Shovel Faithfull Shovel, please click on the picture or even contact us at: sales@tufftools.com. This is Number 2 in our ‘Top 4′ chart, the XMS12ENGAA and XMS12ENGAAA Energizer Batteries both in packs of 24. Prepare for all those childrens toys this Christmas and stock up on these battery packs! Everyone needs batteries at Christmas! Both these Energizer AA & AAA batteries are general purpose batteries ideal for toys and games, remote controls, flashlights and smoke detectors, etc. The Power Seal technology ensures that the batteries are long lasting and have a long shelf life, of up to 10 years. Both these AA & AAA Cell batteries come in a 100% extra free pack, giving 24 batteries for the price of 12. For more information on both these XMS12ENGAA and XMS12ENGAAA Energizer Batteries, please click on the picture or even contact us at: sales@tufftools.com. This is Number 3 in our ‘Top 4′ chart, the XMS12BOOT DeWalt Extreme Boot, perfect for all the last minute jobs up to Christmas. 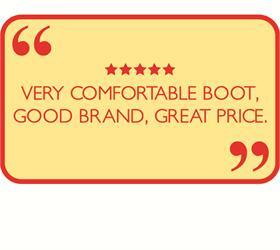 These Dewalt Extreme safety boots have a lightweight construction, whilst also offering high safety for the workplace. They are heat resistant to 300°, and the steel toe caps can withold up to 200 Joules. The rubber soles are oil and slip resistant. The boots have a molded midsole to help support the foot, and a dual density removable insole, which ensures that the boots are comfortable to wear. At TuffTools, we are able to sell these boots in sizes 7-11. For more information on these XMS12BOOT DeWalt Boots, please click on the picture or even contact us at: sales@tufftools.com. This is Number 4 in our ‘Top 4′ chart, the XMS12EXTEND Lighthouse Double Extender Torch. The new Lighthouse Double Extender rechargeable torch serves many functions in one. The torch head has 2 modes; either a spotlight or a 3 LED flashing red safety light. The torch has a swivel head, which means that it can be angled to provide light in the right place. In addition, the torch can be extended at each end, with each end providing 15 lumens of light, meaning it can provide either a 15 or 30 lumen flood light. The light is free-standing allowing hand-free use. It also has a magnetic bottom, so that it can be securely attached to metal objects. For more information on these XMS12EXTEND Lighthouse Double Extender Torch, please click on the picture or even contact us at: sales@tufftools.com. By www.tufftools.comThere are 3 different types of Cordless Drill generally to choose from. The one you need will depend on the application you are using it for. 1 - Drill Driver - This option is designed for drilling into wood or metal. 2 - Combi dril - This option is designed for drilling into wood, steel or masonry. 3 - SDS Hammer drill - Can be used for drilling into wood & metal although generally regarded for drilling into masonry. The drill driver is designed for drilling into metal and wood. This is generally a cheaper option than the combi due to having less features. In most cases the drill will have settings around the collar of the chuck, you will be able to select the drilling option or the screwdriver option depending on what job you are attempting. Another option will be the torque settings which will adjust the strength at which the chuck will turn, for harder materials the torque can be set higher to help acheive better results. A similar design to the drill driver but with an extra option, the hammer mode. The hammer mode is for when drilling into masonry. It enables a small piston to continuously tap at the back of the chuck to give extra help to get through the masonry. The collar still has the torque settings but the extra option of drilling into more materials gives this drill a wider range of applications, therefore a higher price as well. The SDS Hammer drill is designed mainly for use with masonry. With a piston design like the hammer option on the combi as standard they normally have a larger drilling capacity for this application. Our most popular cordless SDS Hammer drill is the Makita BHR202RFE with a max drilling capacity in concrete of 20mm. An important factor in cordless tools is the battery technology. The new lithium batteries now available with cordless tools make a huge difference to the run time of the machines as well as the charge time and battery life. With a fast charger with older Ni-Cd or Ni-MH batteries you could still be looking at 30 minutes or even 60 minutes charge time, the Makita DC18RA charger for lithium batteries has a charge time of 22 minutes from flat. Add this to the fact that you could gat up to 2000 more cycles from a lithium battery compared to the older type and you can see why most professionals these days opt for lithium technology. The best way of choosing the correct drill is to start with the basics. Decide on the application that you need it for, if your not going to need to drill into masonry then you don’t need a combi or SDS drill. Although if you are going to need to drill into masonry then a drill driver is not the tool for you. The application is usually the main factor in deciding on the correct tool for the job! A quick easy video from TufftoolsTV on how to un-box the Makita 9554NBKD 115MM ANGLE GRINDER. A quick easy video from TufftoolsTV on how to un-box the Makita BK1839X1W Package.